Check out this photo. I’m folding laundry and checking tags on everything because we are purging clothes for the big move. 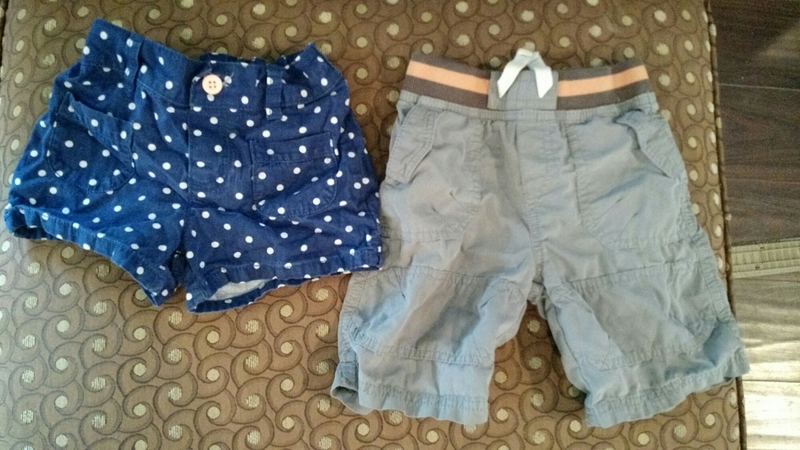 The little girl shorts are on the left, and the little boy shorts are on the right. These shorts are two different sizes. The girl shorts are 4T. 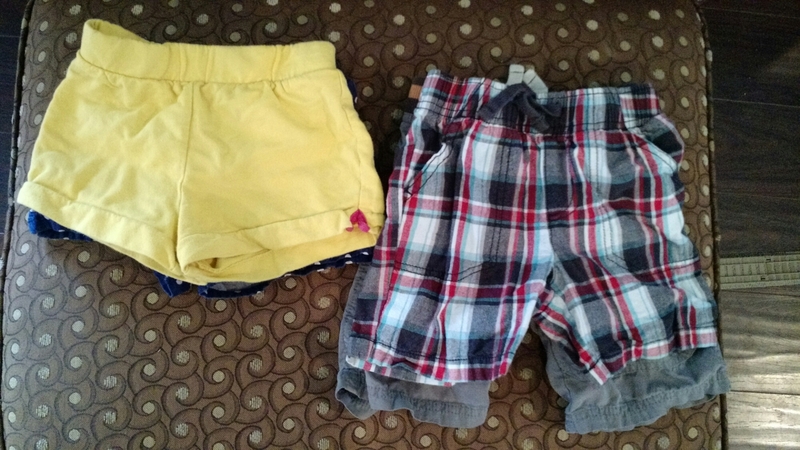 The boy shorts are 24 months. Note that 24 months is not the same as 2T – it’s smaller, and sort of a half size between 18mo and 2T (although this varies based on brands). 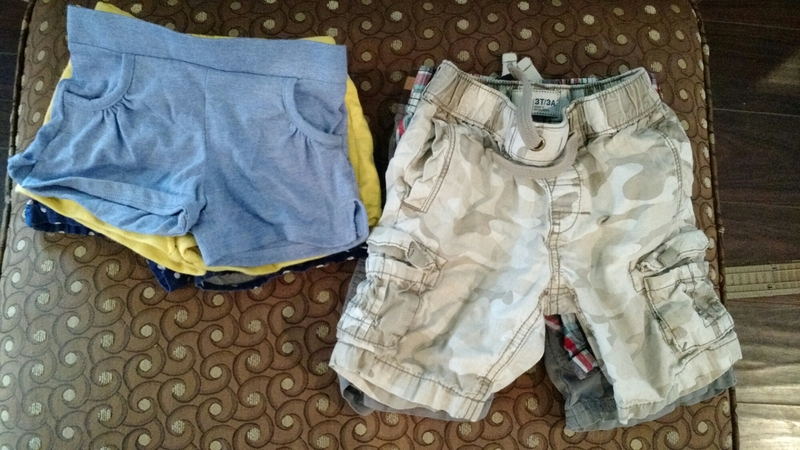 These shorts are different brands, but I can show you tons of examples of this exact phenomenon, where Henry’s shorts come with a reasonable inseam, and Eleanor has booty shorts. Ahhh, equality in all its awkwardness. I showed this to Mandy and she just kept nodding along. Same deal in our house. It’s crazy. It’s tough. On the one hand, I’m outraged. On the other hand, I have all these shorts – I feel like I didn’t try hard enough to get something I feel more comfortable with. But I also don’t have a lot of time to look, you know? I buy all my child’s clothing on the assumption that someday in the future I will have another child of an as of yet undetermined gender and assume I will want said future baby to have this clothing as hand me downs. This helps a lot. Tons of the twins clothes are hand me downs of both genders. Probably 75%? Anyway, I blame society.